COLLEGE STATION – Say “blackberry” today and most people will think of smartphone first and the fruit second. Like the phone, there is an upgrade available to Texas growers: Natchez thornless blackberries, one of the new Texas Superstar selections for 2013, said Dr. Larry Stein, Texas A&M AgriLife Extension Service horticulture specialist in Uvalde who works mainly with pecans, fruits, grapes and vegetable crops. Blackberries have a long history of being grown in Texas, and for good reason, Stein said. The fruit is easy to grow and densely packed with antioxidants, dietary fiber, vitamins C and K, and folic acid, as well as manganese, an essential mineral. These were only some of the reasons the Texas Superstar board has chosen Natchez thornless blackberries as one of the 2013 Superstars, he said. “Of all the thornless varieties we’ve looked at, this one has been the best one to date,” Stein said. Usually thornless blackberries aren’t as productive and flavorful as the thorned varieties, Stein explained. But Natchez, which was developed by a University of Arkansas breeding program, is the exception, producing large berries with lots of flavor. Texas Superstar plants undergo extensive tests throughout the state by Texas A&M AgriLife Research and AgriLife Extension horticulturists, said Dr. Brent Pemberton, AgriLife Research horticulturist, Overton, and chair of the Texas Superstar executive board. To be designated a Superstar, a plant must not just be beautiful but also perform well for consumers and growers throughout Texas. Superstars must also be easy to propagate, which should ensure the plants are not only widely available throughout Texas but also are reasonably priced, Pemberton said. Natchez easily fulfills all the basic Superstar requirements, Stein said. There were no substantial common diseases observed in the Texas trials, Stein added. “The fruit are elongated, somewhat blocky and very attractive with an exceptional glossy, black finish, and it stores well,” he said. Natchez’s fertility needs are not exceptional, about the same as other fruit plants. “Typically, we just need a nitrogen fertilizer. Although, if the soil pH is low, you can use a 3-1-2 (ratio) fertilizer, something like a 15-5-10,” Stein said. 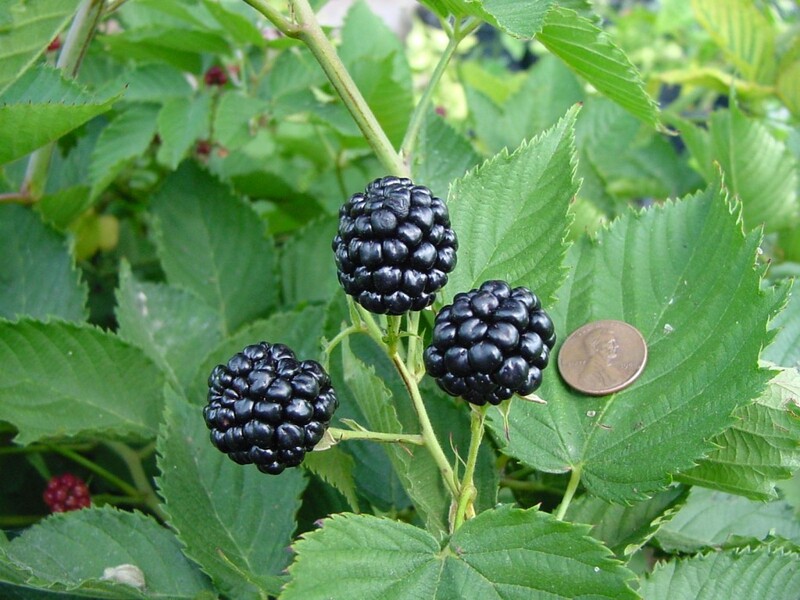 Like many fruit crops, blackberries should be planted where they have sunlight all day long, according to Pemberton. Stein also noted Natchez thrives in U.S. Department of Agriculture plant hardiness zones, which includes not only all of Texas, but much of the rest of the U.S.
One other thing to note is that Natchez is a semi-erect plant, which means it will need a trellis. Depending on growing space, some growers may consider Natchez’s vigor a little excessive, but this is easily managed, Stein said. Texas Superstar is a registered trademark owned by AgriLife Research, a state agency that is part of the Texas A&M University System. More information about the Texas Superstar program can be found at http://texassuperstar.com/.